This topic contains praises and requests composed by Lama Zopa Rinpoche for His Holiness the Fourteenth Dalai Lama. 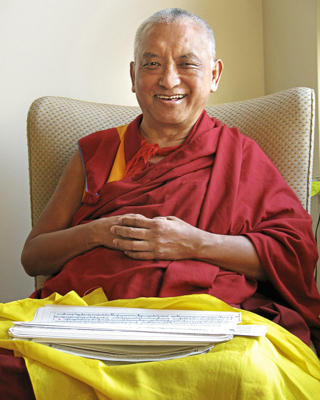 Rinpoche also offers advice to students on the qualities of His Holiness the Dalai Lama and emphasizes the benefits of pleasing His Holiness. Rinpoche advises that just seeing His Holiness’ holy body is great purification, and we plant the seed to attain liberation from samsara and achieve full enlightenment. Also, by seeing his Holiness and hearing his holy speech, the hearts of many millions in the world have been filled with hope, joy and peace.